Even Rick Perry acknowledged that his brain freeze at last week’s presidential debate was embarrassing. But, Herman Cain’s interview with the Milwaukee Journal-Sentinel editorial board on Monday may have topped it. “Ok, Libya,” Cain replies, followed by 10 seconds of silence that the presidential candidate fills by looking down at the table and fidgeting with a bottle of water. “I do not agree with the way he handled it for the following reason,” Cain continues, his eyes looking up as if searching for the point he’s trying to make. “No, that’s a different one,” he adds, followed by more silence. Cain’s difficulty with the answer to a basic question about Libya underscores concerns over the depth of his knowledge on foreign policy — an issue that has not been his strong-suit during the primary race. 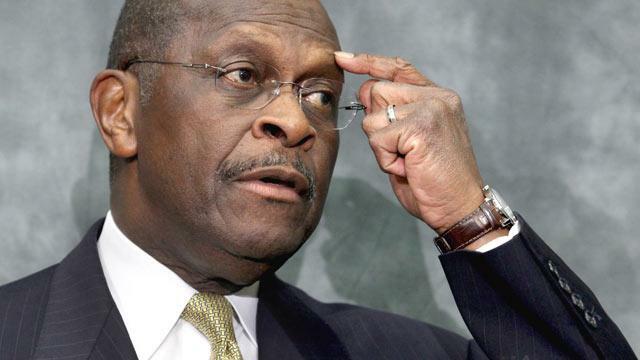 Most recently, in an interview with the PBS “NewsHour,” Cain seemed unaware China’s nuclear weapons program. The former Godfather’s Pizza CEO did little to convince critics that he has a detailed grasp of international affairs at Saturday night’s presidential debate in South Carolina, which focused those subjects. Before the debate, Cain’s campaign manager, Mark Block, told ABC News that the campaign’s spokesman, J.D. Gordon, also doubles as the candidate’s chief tutor on foreign policy.